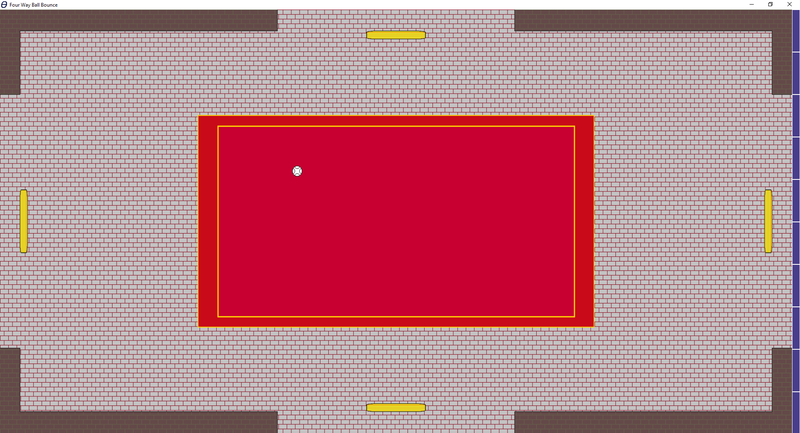 This is an extremely short and simple game made for the FloppyJam. 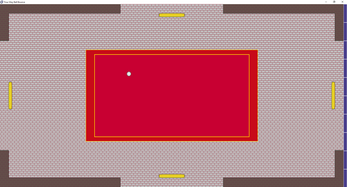 The objective was to make a game small enough to fit on a floppy disk. You control four paddles, all of which move together as one. Balls will bounce around the room. They're white in the middle of the room but become either green or red once they leave the middle. The idea is to let the green balls leave and keep the red balls in so that they can become green balls. Let enough green balls out to win. All music/sound files are licensed from SoundSnap.com. Interesting idea and overall the realisation is minimalist, but effective. I guess it takes some time getting used to the controls, when all the paddles move either clockwise or counter-clockwise. I also liked the easy installation (or the lack of it). Unfortunately there was a problem with the frame rate, the game ran very slowly and this made it difficult to move the paddles smoothly. I'd like to invite your game to our Game Development World Championship, we happen to have a class for jam games! Thanks for your feedback about the frame rate. I'll look into it. Also, I appreciate the invite to the Game Development World Championship. I'll consider submitting my game. Okay, thanks for considering and good luck with the game!